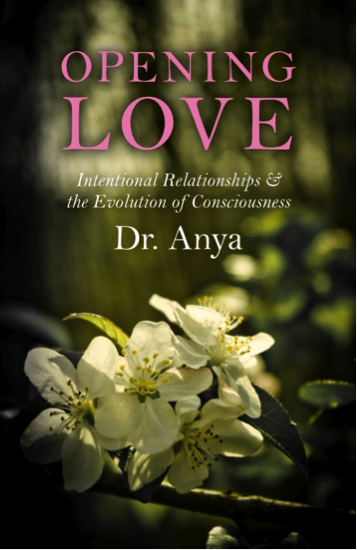 The following meditation, called the Triple R Meditation, was spontaneously developed in the spring of 2017 by Anya Light. There are three steps to this meditation: Retreat, Re-emerge, and Release. Ultimately, the aim of this meditation is to relax and to feel what it feels like to trust the Universe. Please feel free to explore, bend, and adapt this practice for your own purposes… have fun with it! And, if you feel this practice resonates with you, please share it with others. The first step of this meditation is called Retreat. Find a place you are unlikely to be disturbed by others. If you live in a city, this will then probably be a place indoors, in the privacy of your home. Set a timer for thirty minutes, so you can drop fully into the meditation and not have to worry about checking the clock. The timer helps us relax. Find a comfortable seated position. You do not need to sit on a meditation cushion or anything special. Just make sure you’re sitting up straight, in a comfortable way. Close your eyes. As you close our eyes, you retreat from the busy, noisy world and enter a space of stillness, silence, and peaceful darkness. Begin to bring your attention to your breath. Simply observe how your breath feels coming in and out of your body. Observe the physical sensations without judging anything as good or bad, right or wrong. Simply feel. Enjoy feeling. If you find that your mind gets distracted from your observations and begins its usual thought processes or worries, that’s totally okay. Once you notice that you’ve been thinking, gently bring yourself back to noticing your breath. It is key that you try to do this gently. Remember that it was quite easy for you to move from observing your breath to thinking. Make it your aim to make it just as easy to move back in the opposite direction. No need to judge yourself for thinking or make it a huge effort. Simply and gently bring your attention back, as light as a feather and as smooth as silk. As you rest in this dark, calm space, in your own personal luxurious retreat from the world, you will find that your nervous system relaxes. You find that you begin to feel some peace. After you have lingered in the Retreat step of the meditation for a while, you can then move on to the next when it feels right. There is no set recommended time for when to transition. Simply move to the next step when you feel you want to. Thus, because of this flexibility with time, the Triple R Meditation will feel (sometimes vastly) different each time you do it. Although it is recommend to allow yourself a full thirty minutes for this meditation, it is also true that you need not even progress past the first step in some instances. If you are having a particularly stressful day, then it may feel totally good and right for you to simply linger in the first step for the full thirty minutes. This meditation truly has a lot of flexibility built into it. How and when you progress to each stage is up to how you’re feeling that particular day. If you feel that you are ready to move forward, then you can gently open your eyes. Now, you enter the Re-emerge phase. It is here that you have your visual sight available to you again. You partially enter the busy world again. Yet, you remain still. Choose a point on the floor a few feet in front of you, and gently keep your gaze at that point. Keep your eyes fully open (as you normally would in daily life), and if you find your eyelids drooping in sleepiness, do your best to keep them open. Continue to observe your breathing, just as you did in step one. Watch your breath moving in and out. Watch without comment or analysis. Simply watch, simply feel. Be with the breath. Simplicity. During this step, with your eyes open, you mind find now that your mind wants to become a bit more active. Your thinking mind might really want to return and take over the show. Just as in phase one, if you notice you are thinking, that’s okay, simply return your awareness easily and effortlessly to your breath, without comment or judgment. Try be as a light as a feather in your mental movements. Be as sweet and clean as the crisp spring air. Once you come to a place within yourself where it feels good to move forward, then you spontaneously move into the step three, which is known as Release. Again, depending on the day you’re having and where your consciousness is at, you may not reach this step on some days, which is totally okay. The goal is not to dutifully complete each step like a robot. Rather, the goal is to simply trust yourself enough to know what you need each day. Maybe on some days you need to linger in retreat mode for the full thirty minutes—if so, that’s fine! Maybe some days you enjoy ten minutes in phase two, and that’s enough. On other days, you may experience the full cycle. Whatever you feel is right. This final phase is known as Release, and, in some ways, it is paradoxically the most advanced as well as the simplest of the three stages. Here, you remain seated, yet you begin to allow your eyes to drift where they feel compelled to move and you allow your consciousness to release sole focus on the breath. Your eyes may gently move about the room. You may allow yourself to notice sounds in the room, different sensations, and whatever calls to you in that moment. You may move or stretch your body a little. You release into an effortless awareness, where there is no goal except to be present with what your consciousness naturally is drawn to. This is the phase of trust. If thinking arises, simply notice it and let it go. The point of this phase is not to think our usual thoughts, but to allow our brains to revel in simply observing and noticing what they want to observe and notice. We may, at times, naturally want to return to focusing on the breath—because that’s what feels good. If so, go for it! Indeed, in this third phase, the key is to simply do what feels good, free from our normal thinking patterns. The first two phases are about resting, detoxing, and de-stressing. This third phase is about entering the world again. We have our sight back, and it can go where it wants. We have released sole focus on our breath, so we again have the full power to direct our consciousness to what it finds most interesting or curious in the realm of sensory perception. In summary, this third phase most directly trains us to live our daily lives within a constant state of meditation. As we Release, we allow our thinking minds to move into the background, we allow our egos to dissolve, and we live and enjoy the world around us in a very basic and beautiful way. This step takes enormous trust, as this is not how we have been conditioned by our society to live or be. This step takes daring, boldness, dedication. We allow our separate self to die to the beauty of the Self of Spirit. We allow our Divine Essence to move into the foreground—which can only happen if we allow our separate-mind-self to move into the background. Allow yourself to enjoy this final step. Even if you’ve found many meditation techniques to be boring or a chore, you may even find that when the timer rings, you want to keep sitting, because it feels so good! When you are ready to end the meditation, bring your hands together in front of your heart in gratitude. Say a few words of thanks—to yourself, the Universe, your angels, God, or whatever feels right for you. End the meditation in a feeling of gratitude.